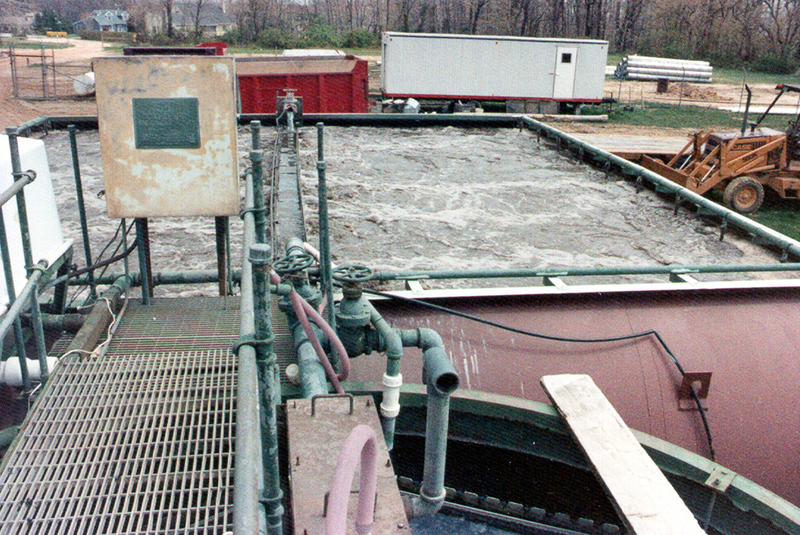 Wastewater Engineering | Morris & Ritchie Associates, Inc.
Our team is committed to designing the most cost-effective, reliable, and versatile facility possible, while incorporating client requirements. 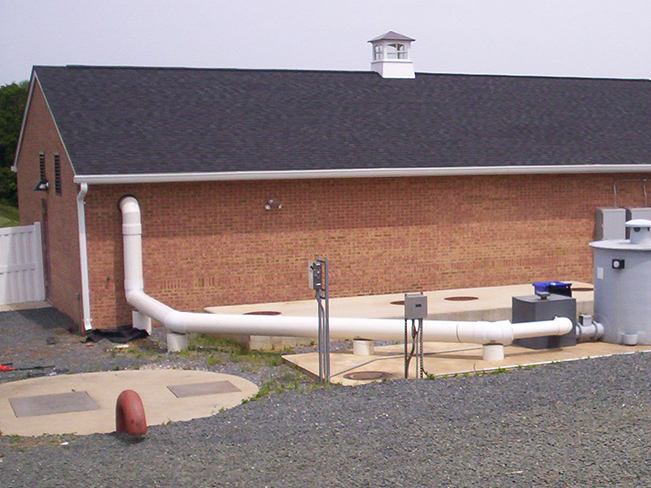 We provide our engineering expertise for new facilities, upgrades to existing facilities, as well as trouble-shooting to eliminate existing odor or infiltration/inflow problems associated with sewerage and industrial wastewater facilities. Keeping abreast of and utilizing innovative technological strategies has enabled us to design cost efficient systems, such as doubling plant capacity without structural expansion of the existing plant. 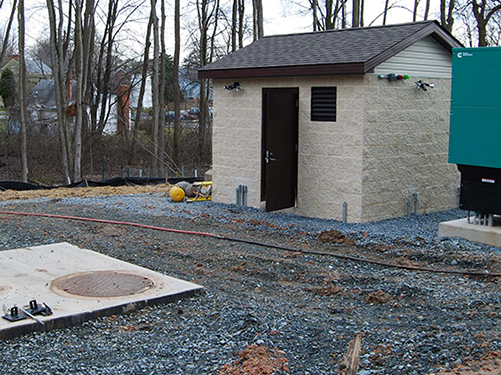 MRA provided design and construction phase services for a 2.8-MGD built-in-place station with three non-clog submersible dry pit pumps with VFD control, 6,000 LF of 12-inch force main, and 165 LF of gravity sewer. The station is located within the Chesapeake Bay Critical Area. A Critical Area report and mitigation plan was prepared to acquire approval. The new station allows for abandonment of four existing stations. 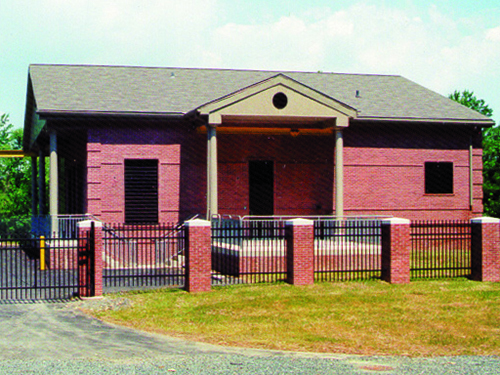 MRA designed this 28-MGD pumping station, including surveying, subsurface exploration, geotechnical evaluation, environmental permitting, feasibility study, preliminary design, hydraulic evaluation, civil, mechanical, structural, electrical, architectural designs, and services during construction. 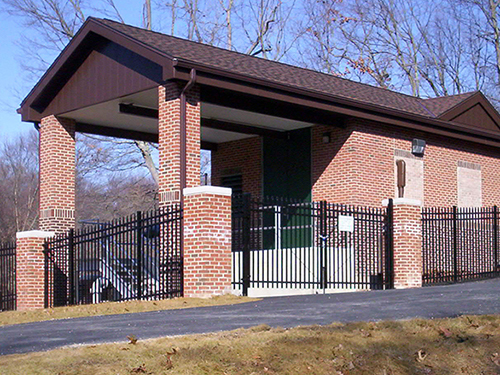 This sewage pumping station supplies approximately 60% of the County’s service area. This project was a complete replacement for the existing station and incorporated a design to interface operation switchover while using the existing force main without interruption of operation. 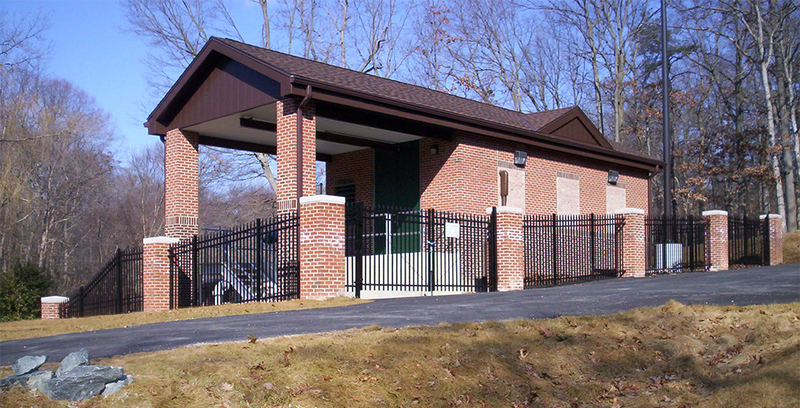 MRA provided design and construction administration services for a low pressure sewage collection system to serve an existing waterfront community. Services also included an alignment study/evaluation including an environmental impact assessment in conjunction with GTA, property research, topographical survey, and easement plat preparation. A total of 45 residences were provided individual grinder pumps and approximately 12,510 LF of 1-1/4 to 4-inch high-density polyethylene pipe was installed by directional drilling. The project included a community sand mound system (21,080 gpd) for treatment and discharge of wastewater. MRA developed the Technical Memorandum for replacement of the Charlestown Main Pump Station to serve the newly delineated Principio Sanitary Sewer Subdistrict. Based on the recommendations of the Memorandum, MRA designed the sewage pumping station with an initial capacity of 2,280 gpm (3.28 MGD) to serve the 0- to 15-year projected growth, capable of a capacity upgrade to 3,228 gpm (4.65 MGD) to serve growth beyond 15 years. The project is comprised of a three-pump station, 4,500 LF of 16-inch force main, and 2,118 LF of 10- to 21-inch gravity sewer. The existing station, built in the mid 1960s, with a capacity of 575 gpm, will be decommissioned and dismantled. A portion of the project was within the Chesapeake Bay Critical Area and the 100-year floodplain and required wetland mitigation. Installation included a crossing of Amtrak Railroad and MD Route 267 by bore and jack method. Some unique challenges encountered by this project include developing a sequence of construction and testing to facilitate the transition from the existing to new sewage pumping station with consideration of three influent collector sewers without interruption of service, as well as developing the system curve, and pump and control selection to be hydraulically compatible with common use of an existing 24-­inch force main from the County’s main pump station to the wastewater treatment plant. Design of a new wastewater treatment plant (WWTP) to replace an existing plant that had failed to meet effluent discharge limits of the groundwater discharge permit for several years. A continuous influent sequencing batch reactor (CSBR) was selected to meet the 30/30/10 discharge limits for a peak design flow of 34,800 gpd. The new plant was designed to be compatible with the existing influent sewage pumping station, effluent dosing station, and low pressure deep trench subsurface disposal system. A preliminary study, schematic and final design, preparation of construction estimate, acquisition of permits and bid and construction phase services were performed by MRA for Phase 2 & 3 improvements to the existing extended aeration plant with spray irrigation system, originally constructed in 1975. 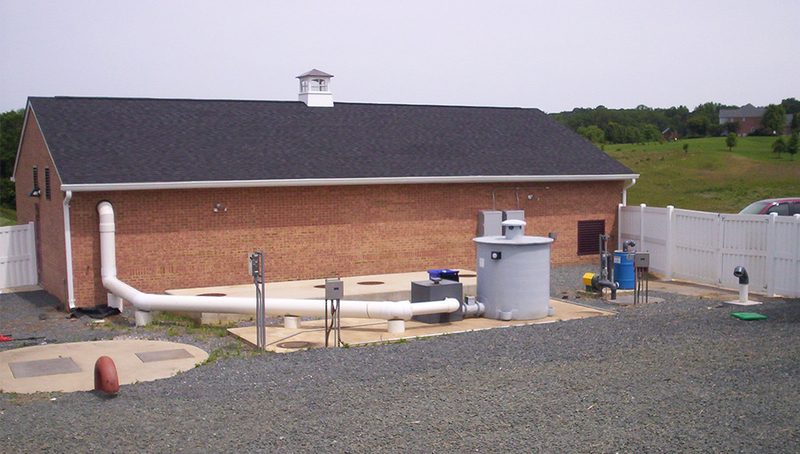 MRA’s work included rehabilitation of the existing effluent holding ponds, addition of secondary clarifier, and expansion of irrigation field and holding ponds to meet upgraded Maryland Department of Environment requirements. 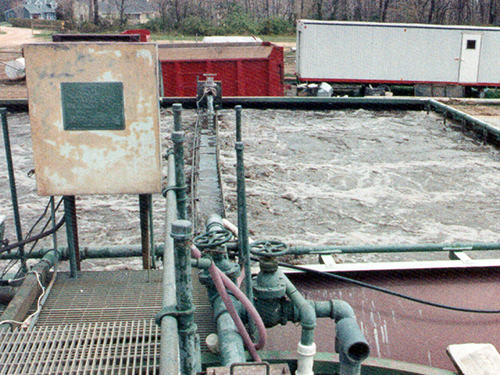 In 1992, the County acquired a surface water discharge permit for the treatment plant, allowing the spray irrigation system to be abandoned. In 2013/14, MRA designed a wastewater collection/conveyance system comprised of: an influent bypass for the existing WWTP; 7,300 LF of 8, 12 & 16-inch gravity sewer; and a 1,186 gpm regional sewage pumping station with 1,600 LF of 10-inch force main discharging to the County Meadowview WWTP, which will allow the decommissioning of the 40-year-old Highlands WWTP. 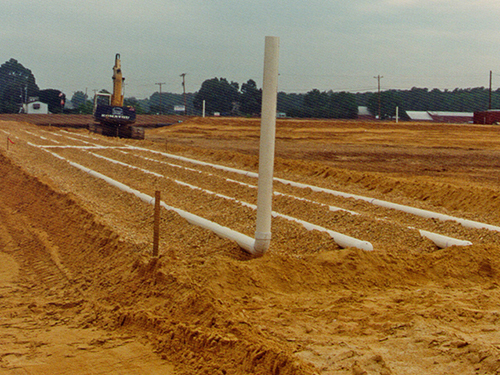 Some unique challenges encountered by this project include: negotiating six easements including one from DuPont across a high security agricultural research area; the appropriate location for the sewage pumping station was within a planned residential community, so MRA worked closely with the site engineer to locate the station and align the influent sewer to serve the community and allow decommissioning of a 30-year-old pumping station.